Although it’s more common for me to get a little frustrated with any epilepsy-related difficulties that come up in the day, I have learned to handle and accept them all without much thought now. It’s also over 10 years since I started to manage the severe side-effects of my most effective AED, lamotrigine. Looking back at everything that occurred, I don’t believe it’s wrong to say that there are a few benefits of having epilepsy as well. Despite grasping a well-earned degree in 2012, my search for post-university paid employment took me a frustrating two and a half years to complete. Still, one thing that was a little handy before and during that long wait were the extra benefits I could carry on claiming via the government’s website. During my time at university, I think Disabled Student Allowance might have paid me an extra £1500 per year, and Disability Living Allowance helped me out a bit when my student life ended and with no jobs to spare. It wasn’t much, but I had a gaff to crash at for as long as I wanted. The greatest benefit that I’ve kept my hands tight around for years is the Disabled Person’s Bus Pass. 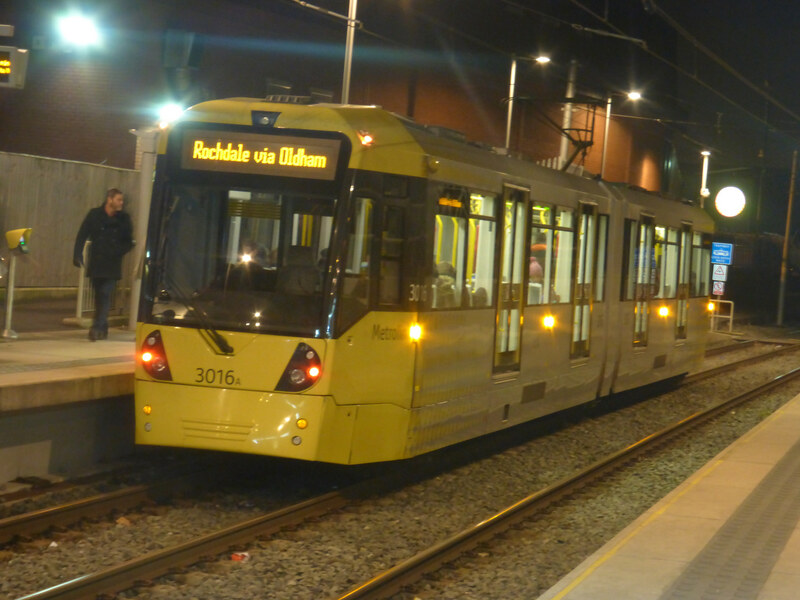 Although it sounds like it’s limiting you to buses, it also works well on the Manchester Metrolink tram service and any trains within the Greater Manchester area too. It doesn’t work during peak-time hours, but that only means I’ve got one single tram payment to make on the way to work on weekdays. Looking back on how often I’ve used it, I reckon I’ve saved more than £5000 over the past ten years. Managing side-effect of both long and short term memory loss has been tricky, but one little benefit is born on the entertainment front. When I watch and enjoy a film or TV programme, it’s not unlike me to return to it after a few years with little memory of the plot and conclusion. All I tend to think is ‘that was good, I remember enjoying it’, but everybody knows films are always better when you see them for the first time. It works with good TV programmes too, although my much-loved sitcoms are quite firmly planted in my mind now. Although I was cut back a couple of years through the strains of my university life, I was happy, proud and relieved to pick up a 2:1 degree at the end of it all. Working hard with an ambitious and epileptic mind isn’t easy, but the urge to prove my worth to others despite my disability has always stood firm. If you’re looking for a good university challenge candidate then just stay away from me, because memory loss is just another way of saying ‘damaged general knowledge’. But intelligence can be shown by people through creativity too and is something that I’m sure I’ll continue to use when completing any fresh ideas with my coursework, blog articles, children’s fiction or sitcom plots. I’ve also done charity walks for Epilepsy Action, and have previously earned over £1000 for the charity. My motivation helped me there because the side-effect of fatigue can get pretty damn heavy for me, during any time, on any day. Oh, I don’t think so. If I could erase the problems I’ve had, and start fresh again at 17 years old, then I probably would. But it doesn’t work like that. A lot of people live with medical issues in their life. I know life can be a lot more difficult for people who have more severe cases of epilepsy than me, and other illnesses that I’m not so educated on. There’s a lot of health problems that can come up for anybody, but as soon as I say that life is a challenge, I immediately feel a need to accept whatever problems have occurred and get ready to try and manage whatever happens next. I believe it’s best just to take your own life for what it is. Offer to help others when you can as well, but never forget to get the most out of every true benefit that you find on offer: it only makes sense to enjoy life as much as possible when the moment feels right.